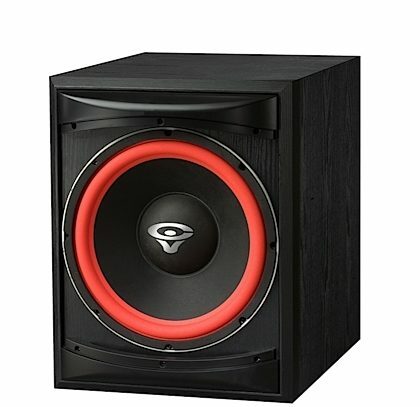 Featuring a bass reflex design with high-impact low frequency response down to 38 Hz, the Cerwin-Vega XLS-12S is a 12" front-firing 250-watt powered subwoofer. The unit offers level controls and a continuously variable crossover from 50 Hz to 150 Hz, enabling the user to tailor the bass response to any environment. Overall: Yep it's a beast. Bought a brand new one to replace the one that came with my onyko.onyko makes a great receiver but there subs are junk. Anyway this sub will peel the paint off the wall two words quality and sound. Zzound is awesome. Will be buying more speakers from them. Overall: This sub did exactly what I hoped it would, deep base like you're at a live show.